Well, I am a Bounty baby 🙂 My dad worked for P&G and we ONLY used Bounty in our household when I was growing up. It is all I ever buy as well. Nothing works as well. 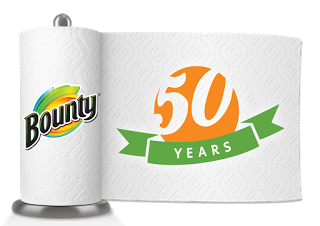 Someone once gave me a roll of paper towels from another company and I had to use about 5 – 7 sheets to do a small job that Bounty would have done w/1sheet. Love your cleaning wipes idea! I will be sharing this with friends and family. Sheila @ BrainPowerBoy recently posted..Fun and Free Summer Activities for Boys, At Home! Sheila- I love your testimony! What an amazing story. Did you watch the video? You would certainly appreciate it. It does a great job capturing all of the generations who have used Bounty. 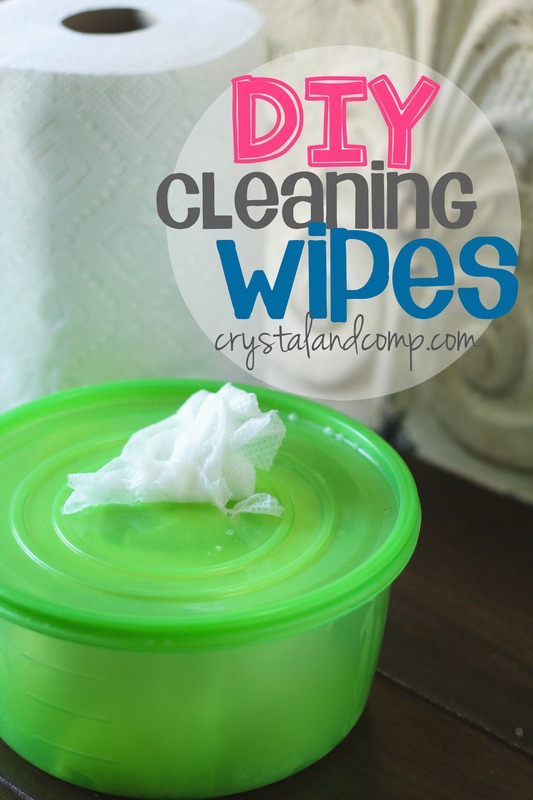 You will love these wipes and they are so simple to make! 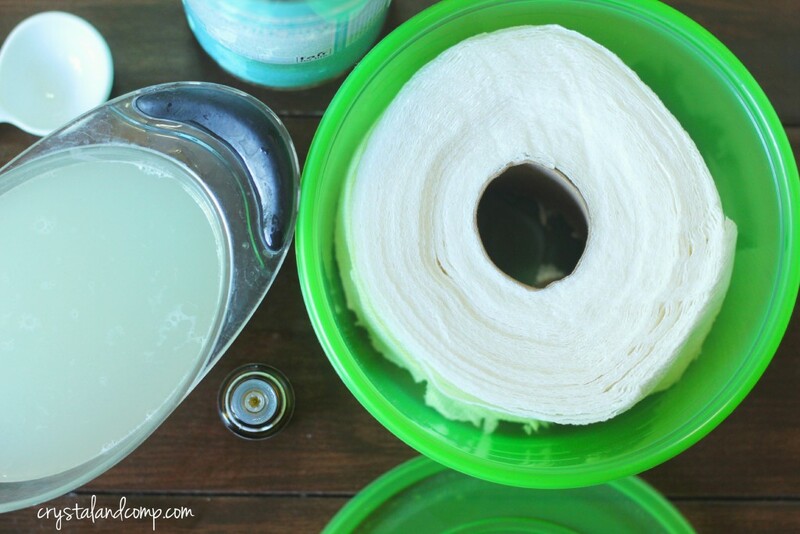 I make my own wipes as well but use the heavy duty blue shop/auto wipes. Plus 3/4 C white vinegar, 3/4 C water, 16 drops of lemon essential oil, 8 drops lavender essential oil, and 4 drops bergamot essential oil and put them in recycled wipe containers. 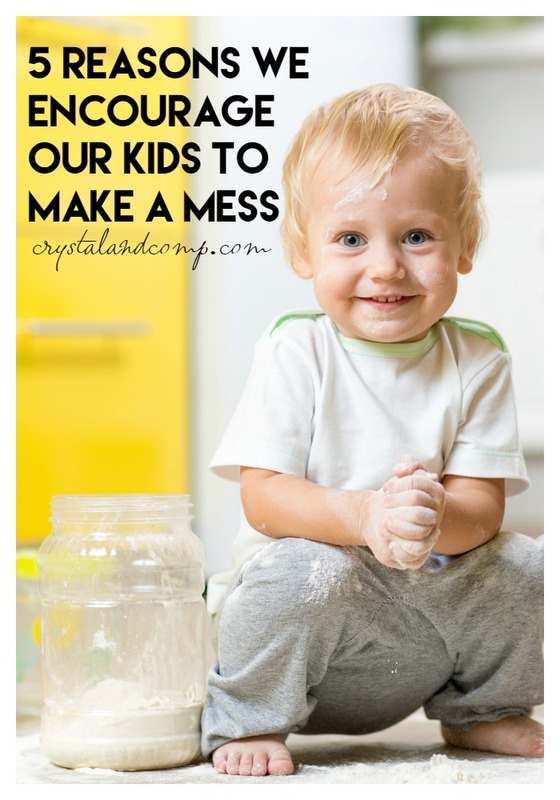 This is such a great idea Crystal. I go through so many of those and they always seem to dry out on me. Thank you so much for linking up to Thriving on Thursdays. It was such a pleasure to have you join us. I’m featuring this post at tomorrow’s party. Hope to see you again sometime. So glad you like it Anne! Does anyone know how well this will work for raw meat? 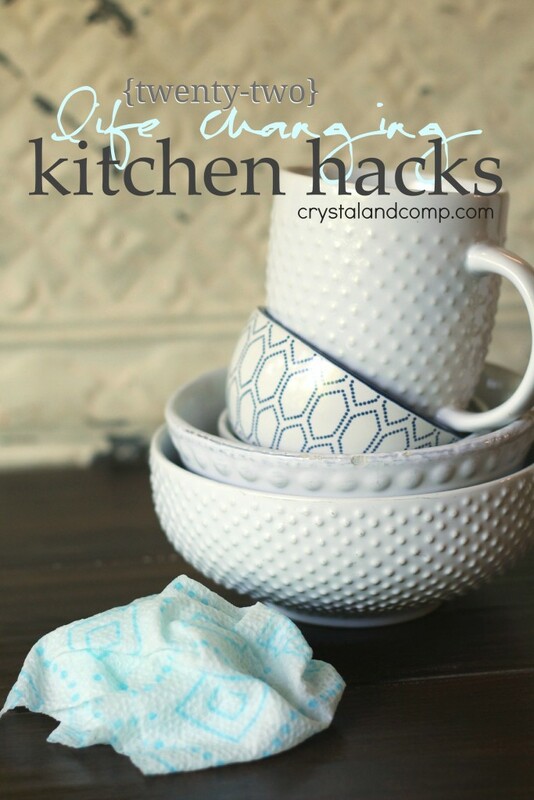 I always use Lysol wipes after cooking to clean up any leftover raw meat that may have leaked onto the counters. I love this idea, but would hate to still have things be unsanitized for something as serious as that. If you use Thieves oil it kills 99% of bacteria. If you sub it out with something else, it depends on what that is. I use a Thieves cleaner on my counters after chicken. Oh, great, I have that! Thanks!! 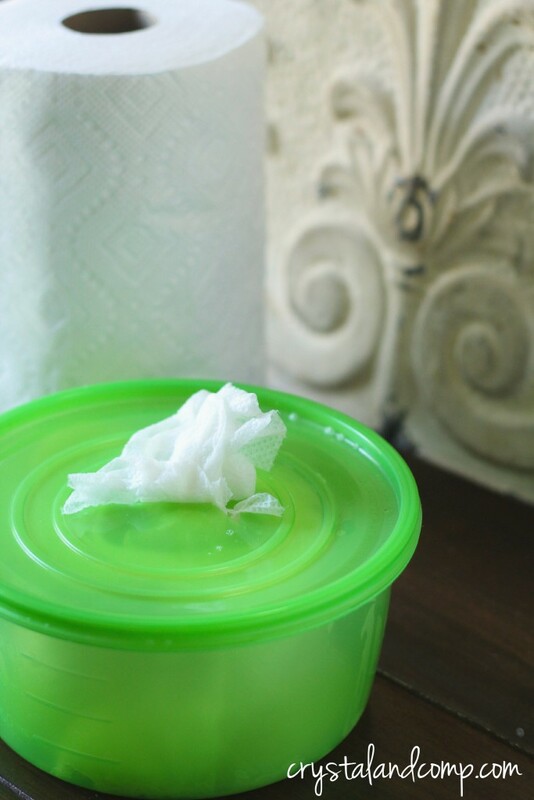 Do you need to put something over the top so the wipes don’t dry out? I’m thinking of adding an extra cover without the slit in it. I have not had an issue with that.